This cholent kugel looks and tastes like kishke, but it consists of flour, oil, onions and spices. Simply mix the ingredients, form a loaf, and place on top of the hot cholent. This kugel will absorb the taste of the cholent, and the kids will ask for seconds. 2. Using your hands, mix onion with flour, paprika, salt and pepper. 3. Using your hands, add oil until the kugel is moist enough that it can be formed into a loaf. 4. When the cholent is hot, place the kugel on top of the cholent and then cover tightly. The kugel should cook with the cholent on low heat for several hours or (if you plan to serve it for Sabbath lunch) overnight. 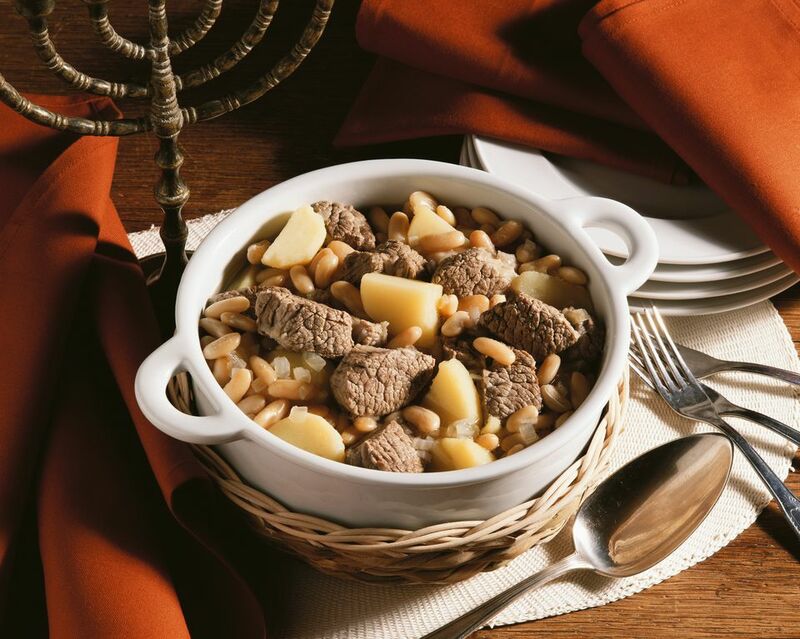 TIPS: Be sure to check as the cholent cooks that there is enough water. If too much water evaporates, add some water to the cholent.